When visiting my children a few weeks ago, one of the things we did was go to the Lincoln Park Zoo. 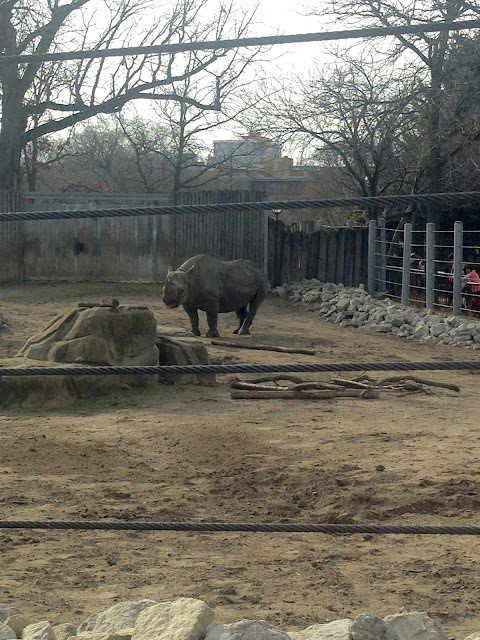 Even though I have been to Chicago a gazillion times in my lifetime, I never went to the Lincoln Park Zoo. 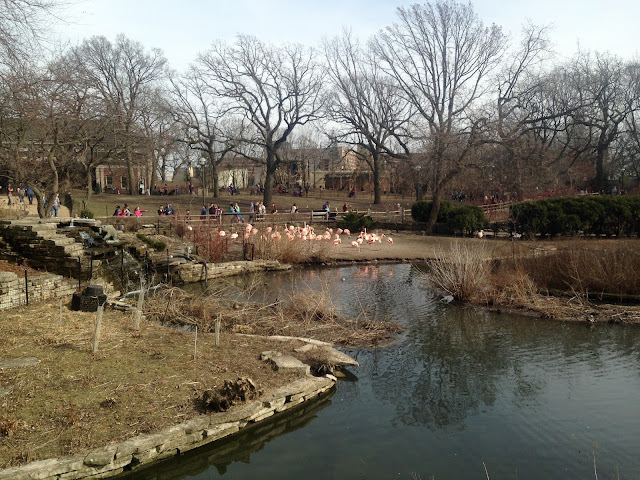 I grew up in Milwaukee, Wisconsin which has a very large nice zoo, so I never saw the point of going to the Chicago Zoo. 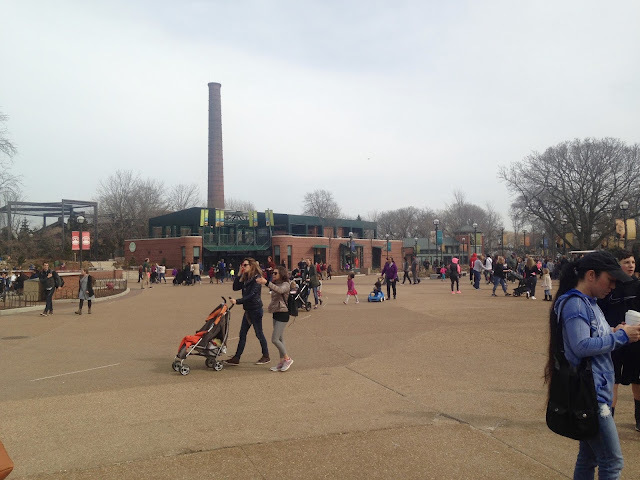 I was very pleasantly surprised about the Lincoln Park Zoo. First of all, it's FREE! If you know me, I love any tourist attraction that is FREE; especially educational attractions like museums, exhibits, and zoos. You do have to pay for parking, although there is plenty of free parking on the street too. We were there on President's Day so it was quite busy. We drove up and down the street with no luck finding parking. My son-in-law Jason finally dropped us off and he ended up finding free parking on a side street a few blocks away. Secondly, for a free zoo in the middle of one of the largest cities in America, I was amazed at how large it was and the variety of animals. The zoo encompasses 35 acres and 200 species of animals (by comparison, the Milwaukee Zoo is 200 acres and has 330 species of animals ). 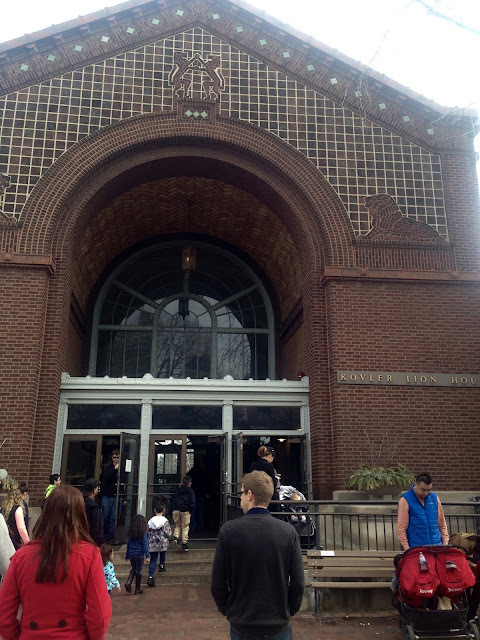 If your a history buff or you simply love old buildings like I do, you will love the Lincoln Park Zoo. 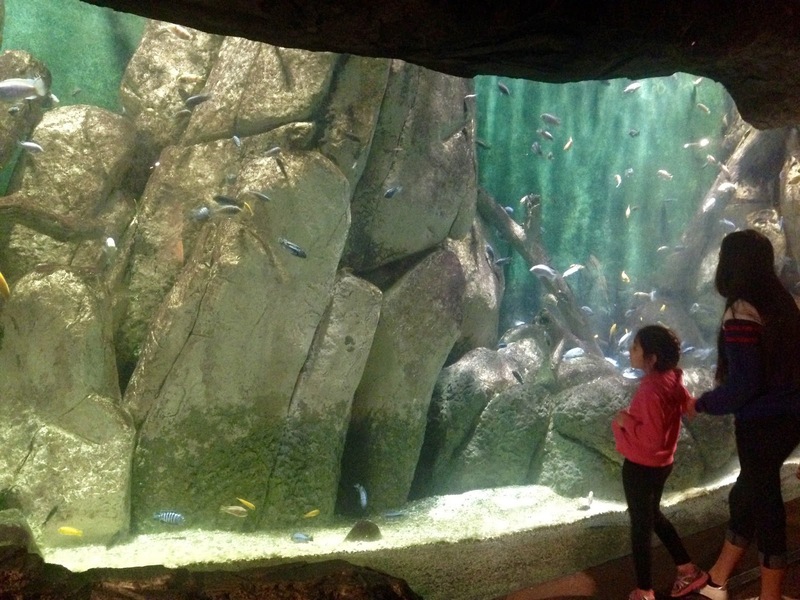 The zoo was founded in 1868 and is one of the oldest zoos in America, so there's a lot of history here! Many of the buildings were made of brick and had such interesting architecture like the lion house below. 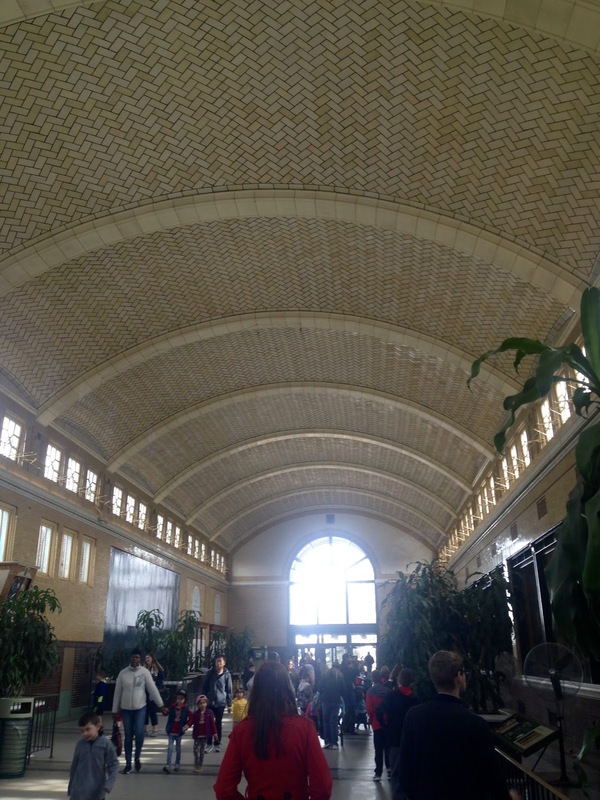 The inside of the lion house had this gorgeous domed tile ceiling. 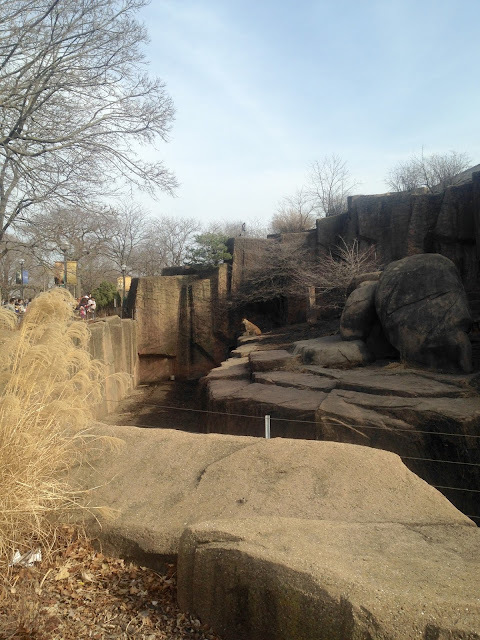 The hardest thing about going to the zoo during the winter months was trying to find the animals. 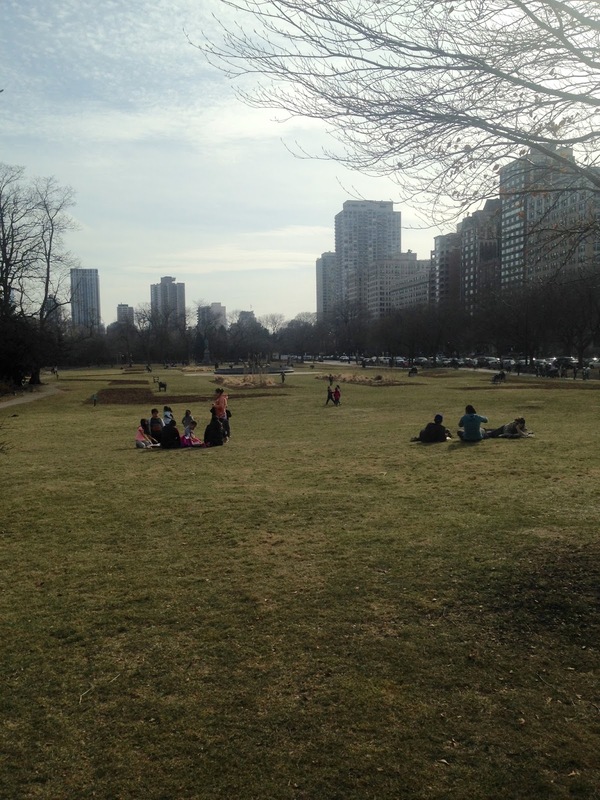 It was a beautiful, unseasonably warm winter day (upper 50's to mid 60's) so you would have thought all the animals would have been outside. 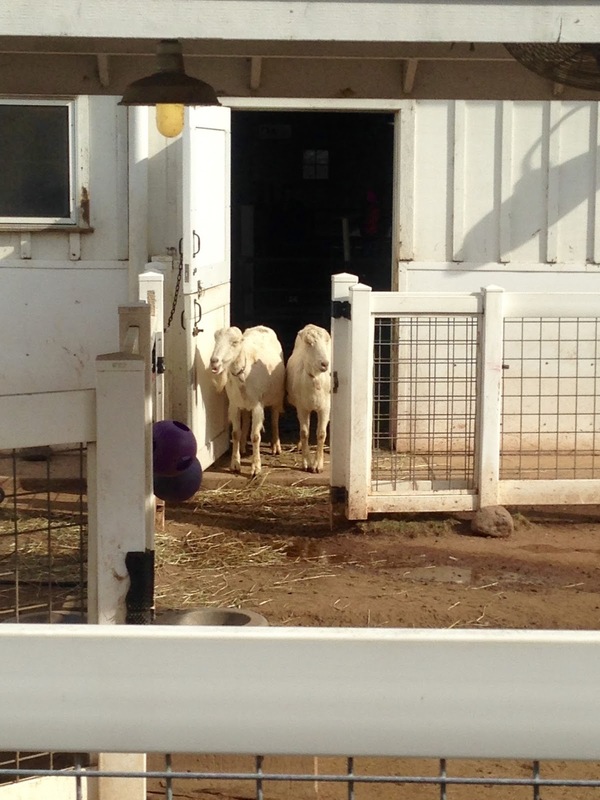 But only some of the animals were outside, so if you couldn't find them outside, you would then have to look for them inside a building. And sometimes you would go inside a building only to find empty cages. So it was a lot of extra walking and hunting. We never did find the polar bear and we looked both inside and outside. He must have been sleeping behind a rock out of view. What I also liked about the Lincoln Park Zoo which I have never seen at any other zoo before was the lighting and scenery inside the animal displays. It really added to the exhibit. The lion walking on the rocks above looked just like he was in the wild. I love how this lizard changed his colors with the scenery. I almost didn't see him! 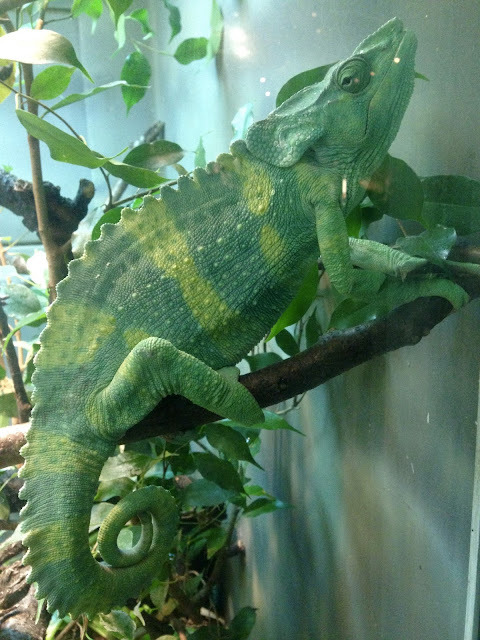 What a chameleon! I would love to go to the zoo during the growing season because based on what I saw during the winter months, I'm sure it's very pretty when everything greens up. 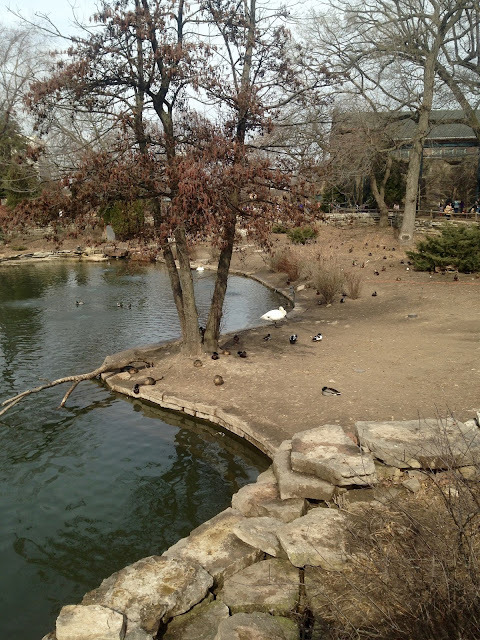 There were several duck ponds and lovely walking paths like the one below. 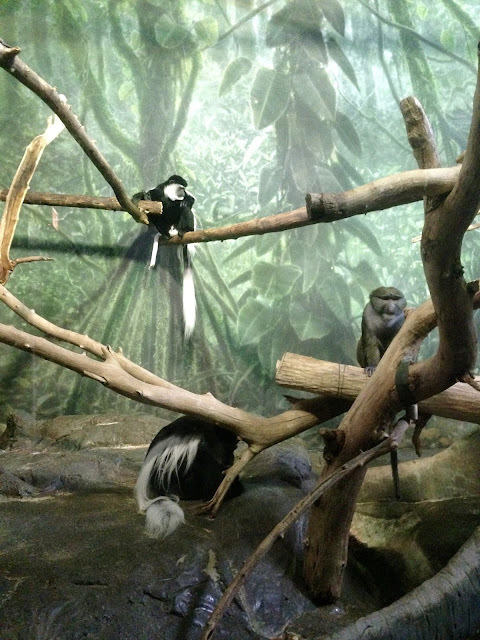 The monkey exhibits also had nice back drop scenery and lighting to enhance the displays. This gorilla loved his hammock! 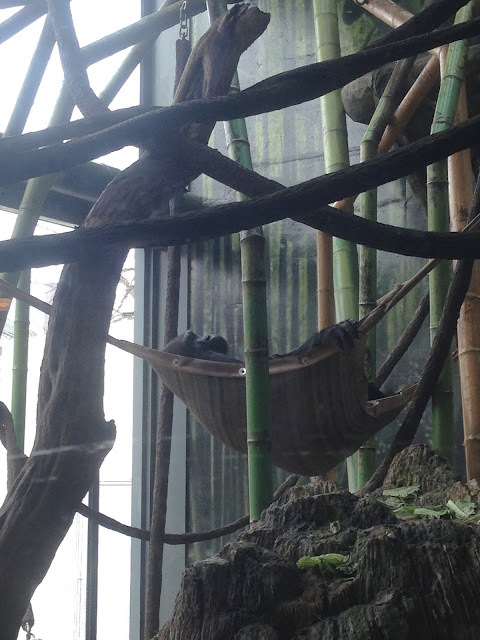 When watching the monkeys we noticed there were brown blankets scattered about. We saw one monkey grab a blanket and run away with it. Then he fluffed it in the air and put it over himself and went to sleep. It was so cute and seemed so human! 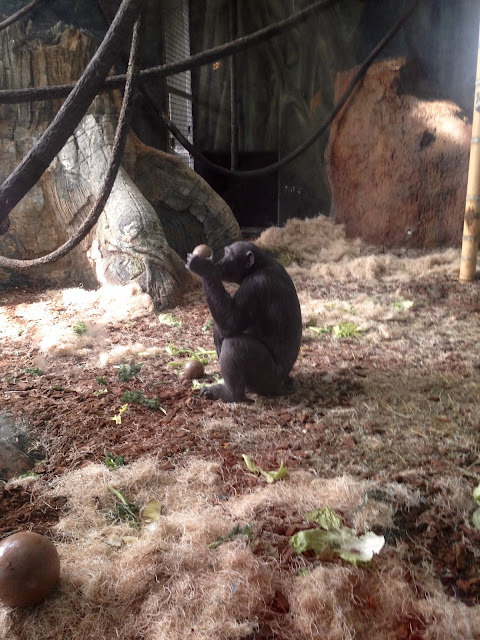 This gorilla was watching his/her fellow primates play outside. He/she looks so contemplative. I wonder what he/she was thinking. 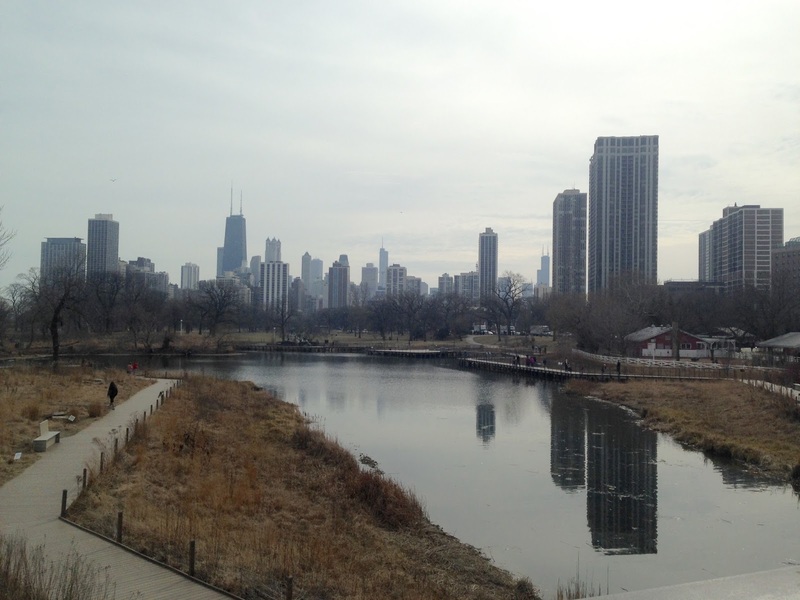 As I mentioned earlier, the zoo is located in the city so you have beautiful views of the Chicago skyline. There is a nature board walk around the large body of water. Where else can you enjoy nature and a gorgeous skyline at the same time? There was a farm animal area in the zoo, but I was very disappointed to discover that it was not a petting zoo. You could not feed or touch any of the animals. 😢 But they had a barn with an educational play area inside, ice skating rink/exhibition rink, bunnies, goats, cows, and horses. The cow/goat house also had an exhibit showing the milking process. 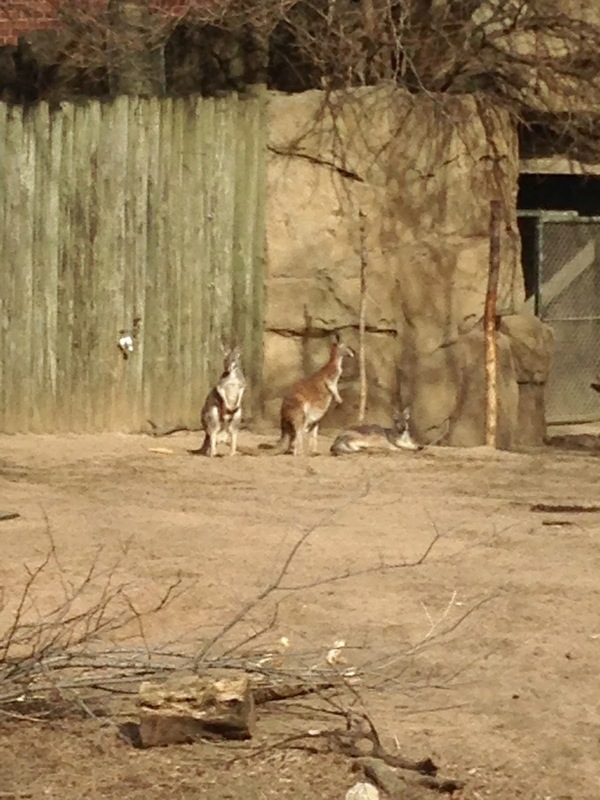 I was really impressed with the variety of animals at this small free zoo. I think I saw just about every major animal except elephants and large hippos. Flamingoes are always my favorite, but I was surprised to see these warm weather birds outside on such a cool day. 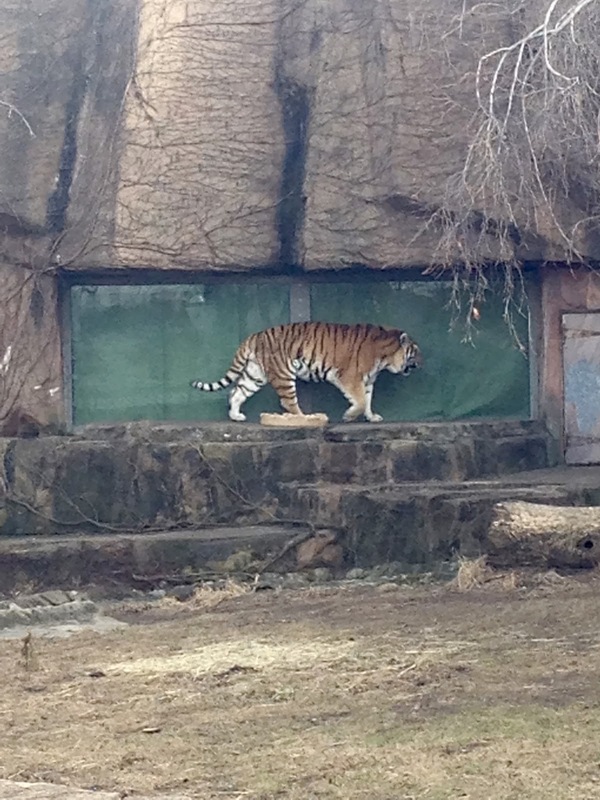 This is the outside tiger display. Can you see the tiger perched so elegantly in the distance? 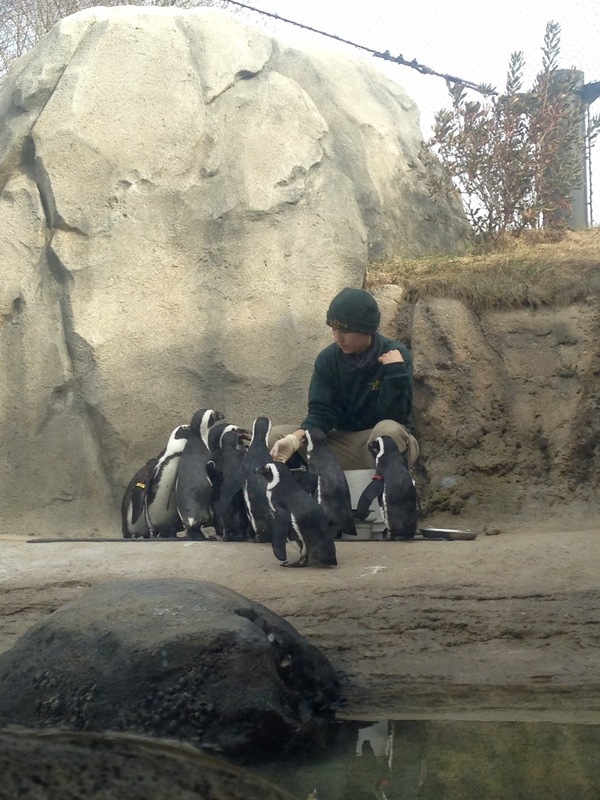 We were thrilled to be in the penguin house just in time to see the penguins feeding time. Aren't they just the cutest? The zoo is not only very well maintained, but it has a lot of interesting displays that make you feel that you are actually visiting the country that the animals are from. The only hippo I saw was this pigmy hippo. 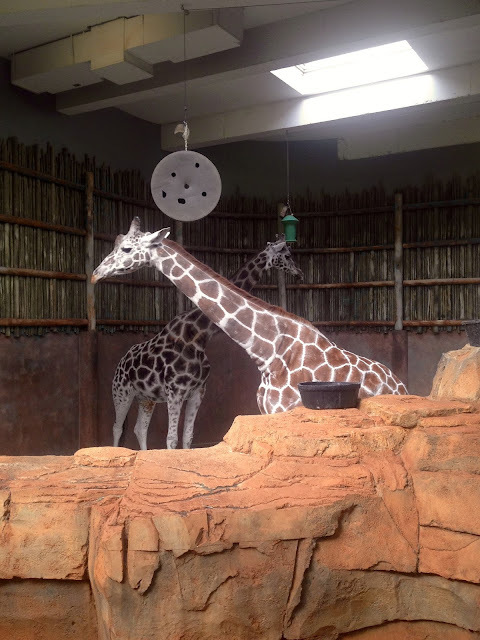 The giraffes could walk outside or stay inside and be viewed from both. The zoo also had some nice aquarium displays too. I was surprised to see they had a rhinoceros. But they had him behind some heavy duty rebar. 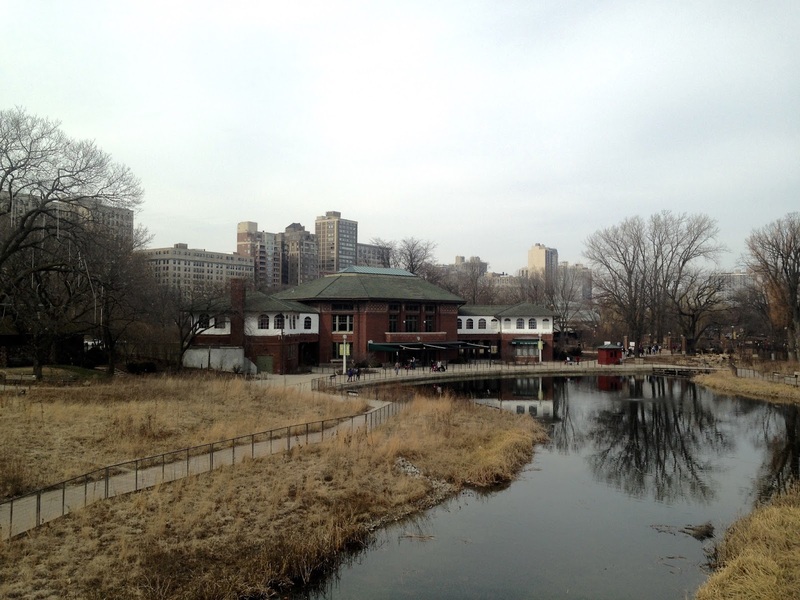 The Lincoln Park Zoo is located inside Lincoln Park on Chicago's north side. It lies on the lake front and also has a conservatory, theatre on the lake, rowing canal, a history museum, nature museum, archery range, beaches, and playing fields. After visiting the zoo, we also went to the Lincoln Park Conservatory. It's a much smaller conservatory than the Garfield Park Conservatory, but it was gorgeous nevertheless. I will share that visit next week! It looks like you had a great visit! I love visiting the zoo! Yes, it was a blast! Thanks Lauren! 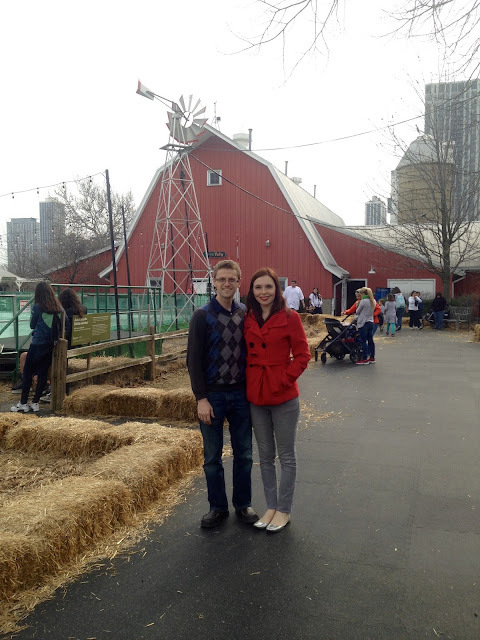 This zoo has been on my "to visit" list for a long time, but we're always short on time whenever we are in downtown Chicago. Hopefully on our next visit! 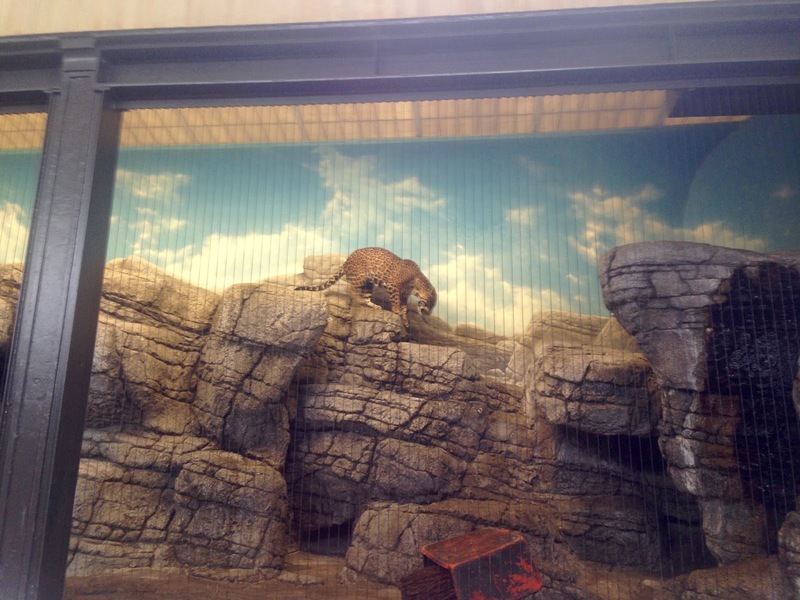 The zoo looks really nice and the animals seem well taken care of. Love the view of the City! I know exactly what you mean Elli because I've ben to Chicago so often too and yet this was my first time at the zoo too. There's just so much to do in Chicago and so little time! What a gorgeous zoo! The tile ceilings are so cool! Yes, the historical buildings are gorgeous and very well maintained. Wow can't believe it's a free zoo? It looks like you had a lot of fun! I know, right? I read that they 2/3 of it is paid for by food service, retail stores, parking, and fund-raising. The rest is made up by the Chicago Park District. I've been wanting to go our zoo for years but have yet to get there. We went once years ago when our girls were very small and haven't been back since that time. Now that I have a big girl camera I'm dying to photograph the zoo animals. It would be so awesome to do! Maybe this spring we can do it before school lets out for the summer. The penguins look so cute. My SIL would like this picture! Have a good week, my friend. Thanks for sharing & linking up! Thanks Cathy! 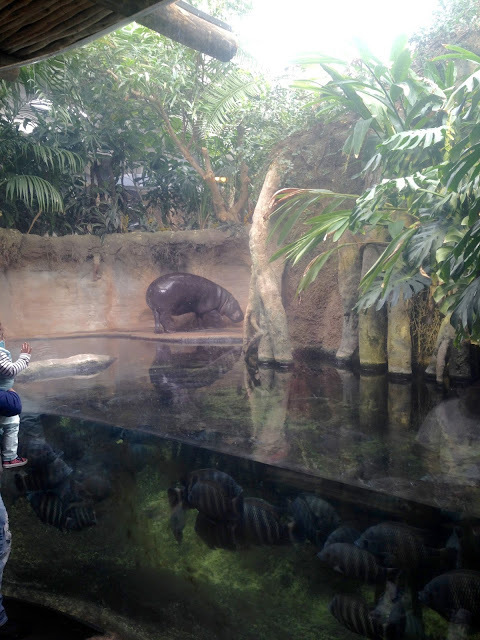 We love zoos and try to visit the local zoo whenever we travel, but it can be hard fitting it in sometime. Wow! Sounds like an amazing zoo; I can't believe it's free! That's wonderful.